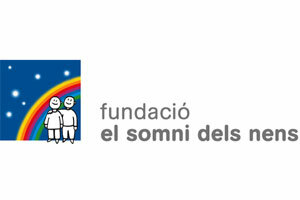 The Children’s Dreams foundation (El Somni del Nens) has given to us their confidence in collaborating with them in a worthwhile project: to introduce skydiving as a therapeutic activity for children with cancer and other serious illnesses. It might appear to be crazy, and maybe it is. For these children who suffer so much and many of them are tired of their treatments or with a low self esteem, the fact that they can enjoy this new experience, so radical and with a sense of freedom, can serve as a moral injection to give them strength in continuing the fight against their illness. For us, these children are an exemplary example of strength and courage and we want to encourage them to share this incredible experience with us. The Children’s Dreams foundation (El Somni del Nens) has as a mission to make a dream become a reality for children affected by cancer and other serious, or chronic, illnesses. Their aim is to give hope and to help theses children to maintain a positive attitude throughout their long medical treatment.